The Union Square-14th Street Station is one of the original 28 stations that made up the early subway system. Though it has undergone many repairs since it opened, thanks to the efforts of artist Mary Miss, you can view pieces of the original 14th Street station in her station exhibit called, Framing Union Square. 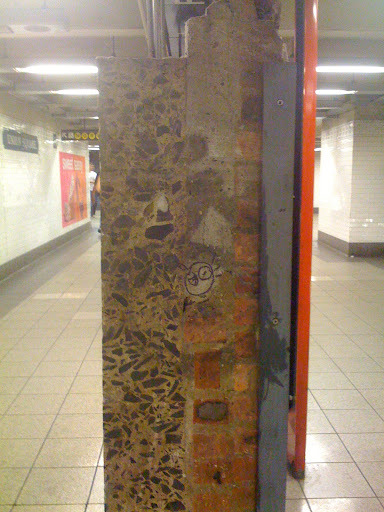 Left: Front view of Union Square panel on display. | Right: Cross section view. 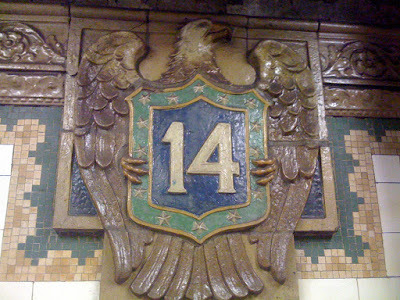 The Union Square panels feature eagles on them. Subway panels and art were originally meant to help riders orient themselves quickly upon arriving at the station. Above: Close-up of the eagle cartouche on the Union Square panel. It is rumored that the eagles were featured in stations located near armories, but Forgotten-NY disputes this. 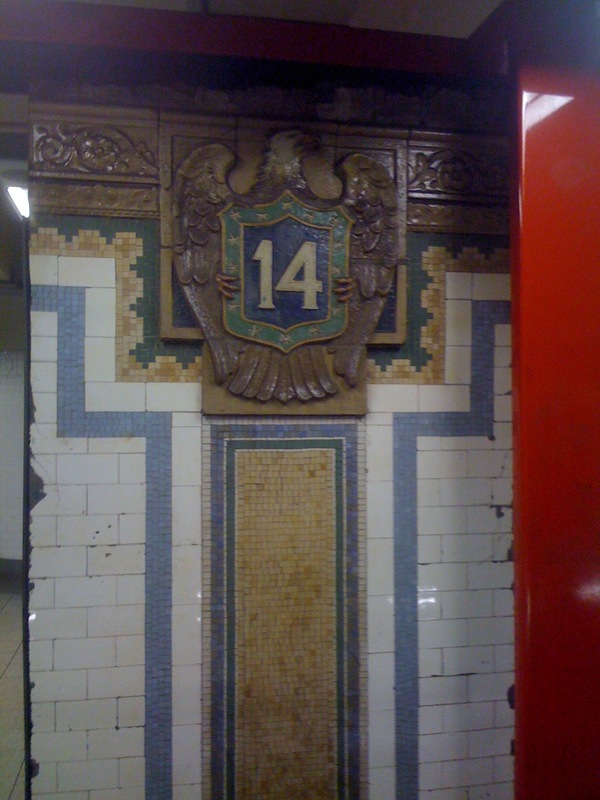 The eagle plaque appears in three stations system-wide: Brooklyn Bridge, Union Square, and 33rd Street. Of the three, only 33rd is known to have been the site of an armory. I'm definitely excited when historical elements are incorporated into renovations. Places have character that shouldn't be lost with time because they help shape us, even if we don't know it.